Bailey Wilde is the last of the Wilde sisters to stick around in the West. She is also one of the best (and smartest) ranchers in the area. Ever since she served in the Civil War, she’s disguised herself as a young man and worked hard to be the son her father wanted and loved. Her only real competition is Gage Coulter, who is trying to gain back access to his canyon of 5,000 acres of grass for his cattle. Ever since he found out that Mr. Bailey Wilde had set up a homestead at the entrance to his canyon, he’s been trying to find a way to buy the land or barter a deal to trespass through her land to give his cattle access. He’s determined and will get his way, despite any warning gunshots that Wilde shoots his way. When Gage finally figures out the truth about Miss Bailey Wilde, he continues to try to barter a deal with her, but she refuses. When Gage shows her his plans to force another opening to the canyon, Bailey gives up. She will have to find another place for her herd to graze. She is disappointed but still determined to make this work. After a long and lonely winter, Bailey is overjoyed to see Gage, despite the circumstances. She is shocked when he proposes marriage, in order to fool his mother, who is coming to visit him. In her loneliness, she decides to marry Gage in exchange for the rights to the canyon and her homestead. Can Bailey and Gage find a way to make this marriage work? Can they learn to trust and respect each other’s skills? Can they learn to let go of their pasts and see the promising future that’s before them? Ending this novel was bittersweet. I didn’t want the series to end. 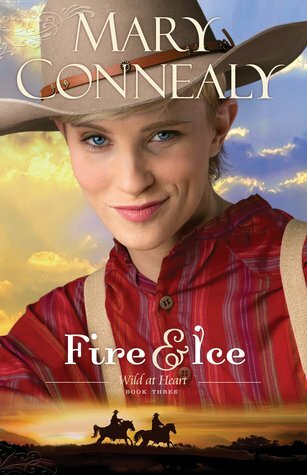 I’ve enjoyed all three books in the Wild at Heart series and I can’t wait to see what else Mary Connealy comes up with next. She is incredibly talented at creating characters that are flawed and lovable and frustrating and endearing! I love all of the humor and faith she infuses into her stories. She pulls me right into the historical setting and I’m not content until I find out what exactly happens to the main characters. Although you could read this book by itself, I would recommend reading the other two books first just to be more familiar with some of the other characters. I recommend this book to anyone who loves a great historical romance with comedy! I received this book for free from the publisher and NetGalley but was not required to give a positive review.